This is the back of Beth’s head. 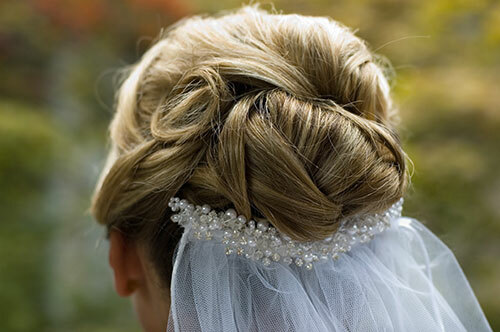 I was photographing her wedding, as you can probably tell by the fancy stuff in her hair. I snapped this candid shot of Beth as she was trying to straighten out her wedding dress. Beth sits down and relaxes while the photographer sets up the next shot. 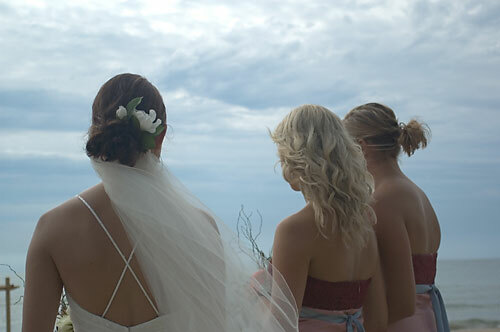 The bride and her bridesmaids look out at Lake Michigan before the wedding starts. 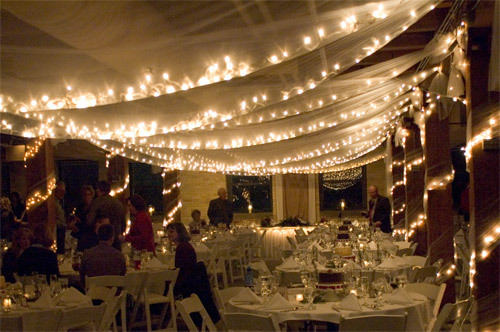 Christmas lights were strung throughout the reception hall for a warm, glowing ambience. 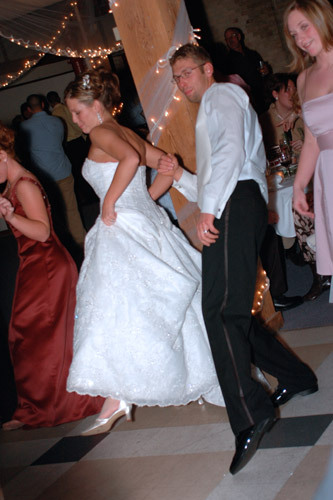 The bride and groom are doing the hokey pokey during their wedding reception. The bride and groom get snug in the back seat of the car for the ride from the church where they were just married to the reception. 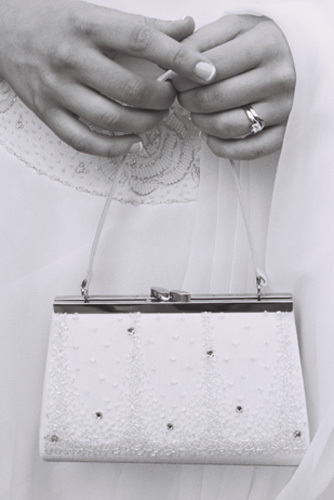 Emily’s hands, and her purse, on her wedding day. Half-posed, half-candid shot of the bride and groom.